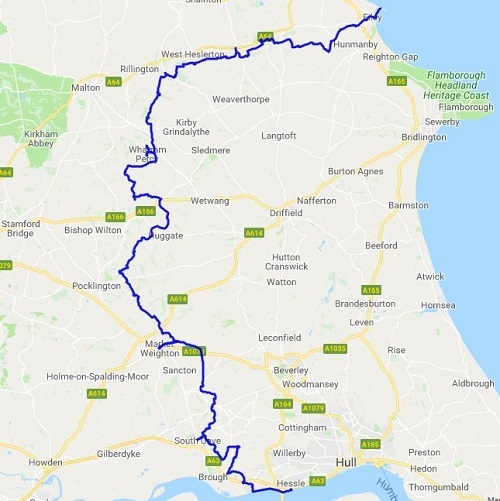 The Yorkshire Wolds Way is a 79 Mile (127km) National Trail around the chalk landscape of the Yorkshire Wolds from Hessle foreshore to Filey Brigg, where it ends, although you will probably walk a few more miles getting to accommodation slightly off the route. It was made a National Trail in October 1982 and remains one of the least walked National Trails. 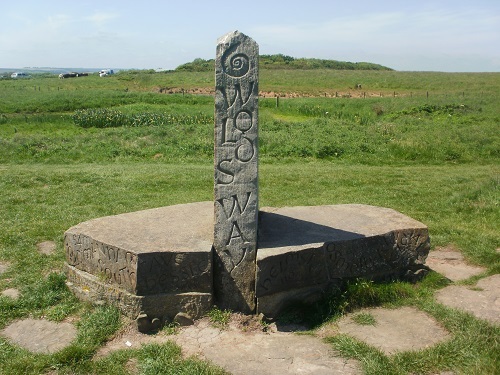 Some people walk it along with the Cleveland Way which also ends/starts at Filey Brigg to do an even longer walk. 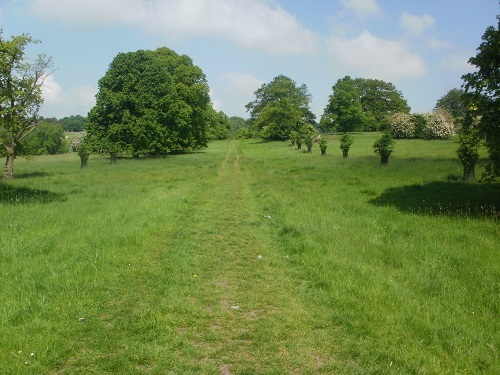 It doesn't have the same scenic beauty as many other long distance walks that I have done but it was still a very enjoyable and scenic walk, mainly along paths, tracks and the occasional country lane. The lack of hills around means that you can see for miles around in all directions and the lack of traffic noise makes this a walk that was better than I had expected. It has no real hills to walk, just the occasional short steep climb or gentle uphill paths making this quite a good walk for a beginner. 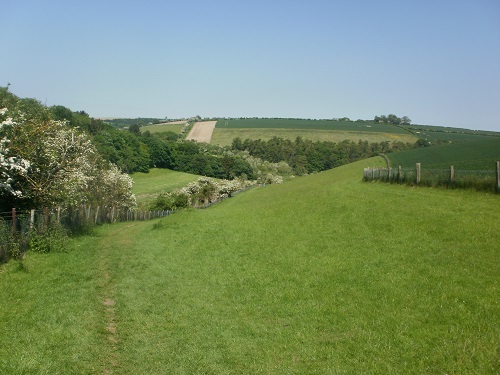 I walked the Yorkshire Wolds Way on a Bank Holiday in May 2018, mainly in hot and dry weather. It had been dry for weeks before so this meant there was no mud on the trail, much to my relief. I only saw a few other people who looked like they were doing the whole trail when I did it which I enjoyed as it was a bank holiday and everywhere else in the UK would have been busy, but not the Yorkshire Wolds. 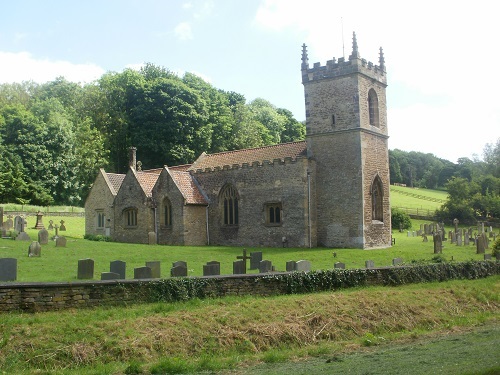 The only downsides to the walk are that because it's so quiet and only goes through or near a few villages, there is a lack of accommodation along the way and also a lack of public transport that you could have otherwise have used to travel to a nearby village for accommodation. Some of the nearby villages have accommodation and are more than willing to pick walkers up from the trail and then return them the next again day after breakfast. 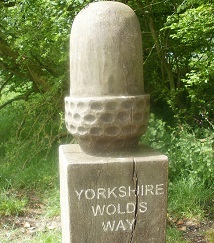 I really enjoyed the Yorkshire Wolds Way and will certainly walk it again, either the full length or day walks as it's quite local to where I live. If you are thinking about walking it, please click on the links on the side of the page to buy the map and guide book as these are more up to date than the official website. On my Yorkshire Wolds Way walk, I took many photos on my 5 days and also made a video showing some of the sights, please click on the link below to watch it.